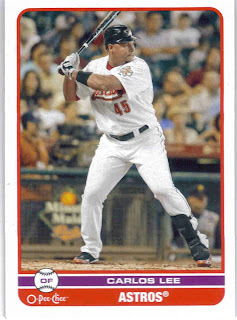 I ordered two boxes of 2009 Upper Deck hoping for one of two things. A Jeter buyback, which I would have taken over everything, or a hot box. When I got the package, I opened one of the UD boxes. I opened the buy back. Boring. At this point, since I need to go to work, I don't have time to open the other box. I figure let me just look at the buyback because I have no patience. I open the other box and see there is no buy back and got annoyed. I think I got hosed. I go to work and I'm reading card blog (because that's what people do at work) and I read a comment on Wax Heaven that you'd know a hot box by the buy back. There wasn't more specification than that, but I think I got one box with a buyback and one without. I wonder if that's the difference. About three days go by before I remembered about the Upper Deck box again. Last night, after I got home from work after midnight, I remembered the other box. Sure enough, it was a hot box. It wasn't great, but it is what I asked for. That's the break of the two boxes. While the cards weren't overly impressive. I still had a lot of fun opening this break. And, really, isn't that the point of all this. Sooz has a hot box. 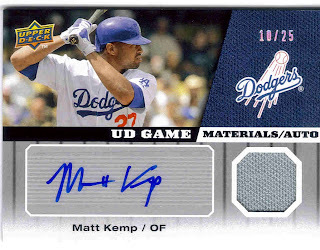 I want that Matt Kemp card! Yet another reason not to buy U.D Series two. 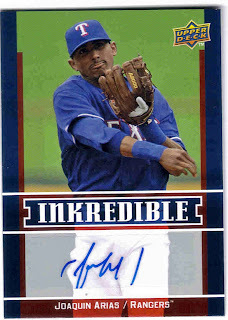 Take away the Kemp auto, and your looking at well I would rather not say the word out of respect to Sooz. Here is a little bio on the buy back auto! 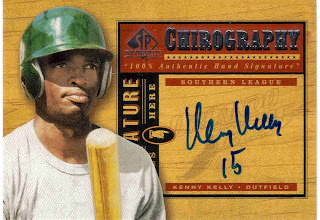 Kenneth Alphonso Kelly (born January 26, 1979 in Plant City, Florida) is a minor league outfielder for the Chicago White Sox Triple-A affiliate, the Charlotte Knights. 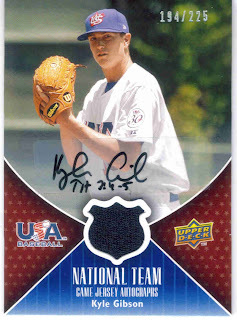 Previously, he has played in the major leagues for the Tampa Bay Devil Rays, Cincinnati Reds, and Washington Nationals. He had also been a quarterback for the University of Miami football team. 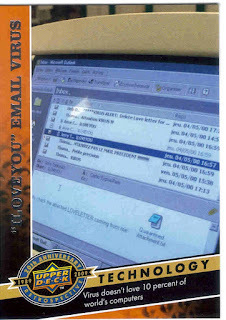 On July 26, 2008 Kelly turned himself into the Plant City Police station where he was arrested on three felony drug counts. Police said he was charged with possession of marijuana and purchase and solicitation to deliver marijuana — all third-degree felonies. 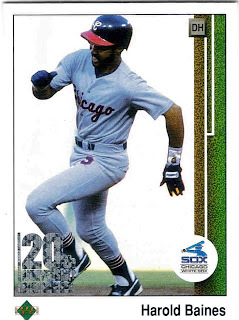 The Kemp auto turns something I would be totally bored with into something totally amazing. great box. i'm likin' those opc preview cards. that's gonna be a hot set if it ever comes out. OK, so I read all these comments at the gym and I swear I was cracking up so hard at "Sooz has a hot box. Awesome." and that Kenny Kelly is a known felon. I wonder if he will resign it with his inmate number on a double buy-back. 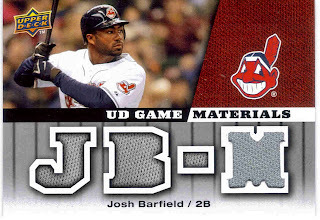 Way to go UD on bringing the hobby closer to crime, one card at a time. The hot box jokes were already used when I told my boyfriend what I got. lol. Even though I didn't get thrilling cards, I honeslty enjoyed breaking the box. For me, it was fun. So, it doesn't matter who I got - or didn't get. As long as you had fun with it thats all that matters. After all thats what collecting is all about. It's not a hot box, and it's not even baseball. Who takes the worst photos? 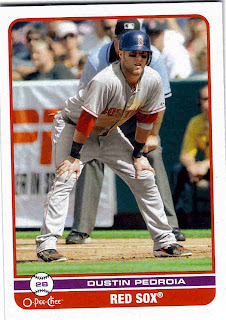 2009 Bowman: Thumbs up or down?